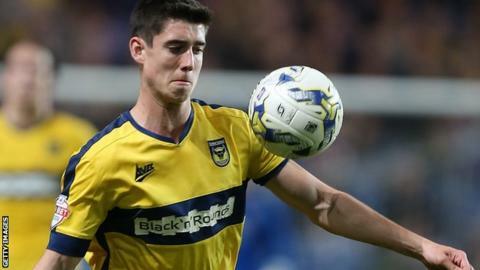 Oxford United midfielder Callum O'Dowda admits competition for places will be fierce as the club target promotion and the League Two title. O'Dowda expects to battle for a place in manager Michael Appleton's starting line-up with fellow midfielders Kemar Roofe and Alex MacDonald. The 20-year-old made 35 appearances last season, scoring four goals. "I know that if I don't put the performances in, I'm going to be on my toes", he told BBC Radio Oxford. The Ireland Under-21 international is also keen to add more of a goalscoring threat to his game. "I want to make as many appearances as possible, but statistically I want to help the team out more," he added. "Last season there were games when I could've scored more goals at times that would've benefitted us."